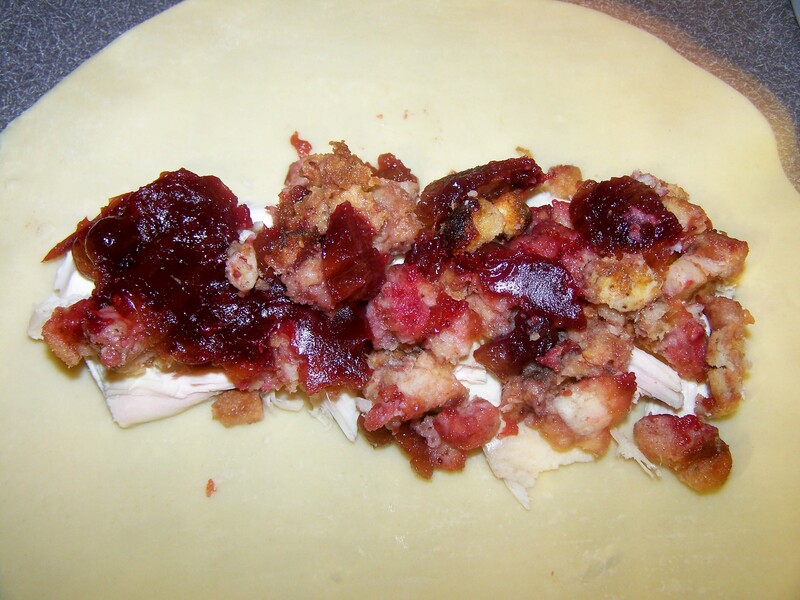 My Star created this recipe “on the spot” for Thanksgiving. 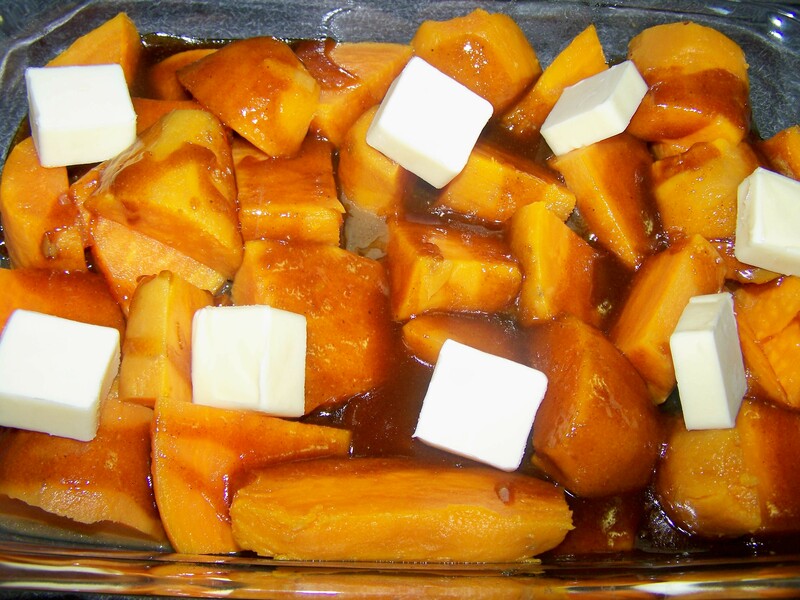 He loves candied yams and last year we made them from the can (yes the can), but this year we bought the box of sweet potatoes that were on sale for I think $2.99 and Joe just created this awesome side dish. I think this was the winner for the night! Everyone was raving about this dish, so sweet and delicious. Pierce sweet potatoes with fork and wrap in foil. 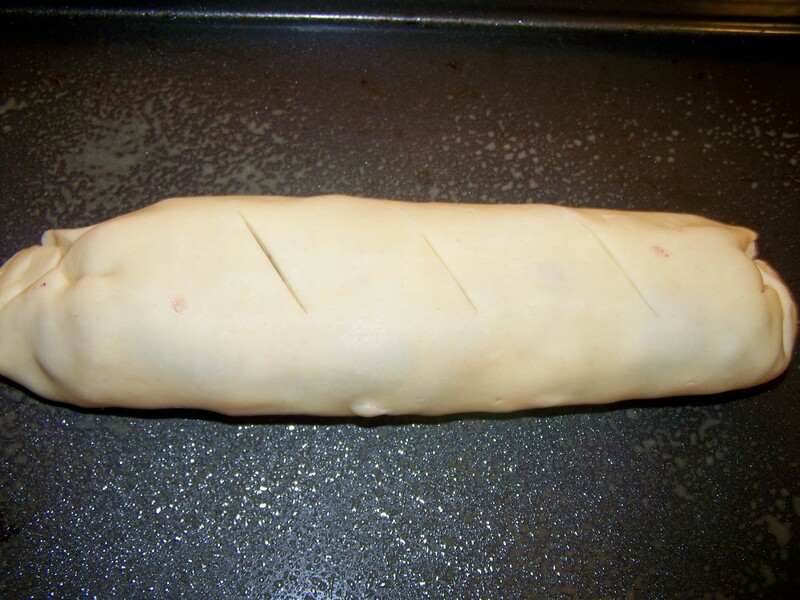 Bake for approximately 35-45 minutes. Remove from oven and cool to handle. 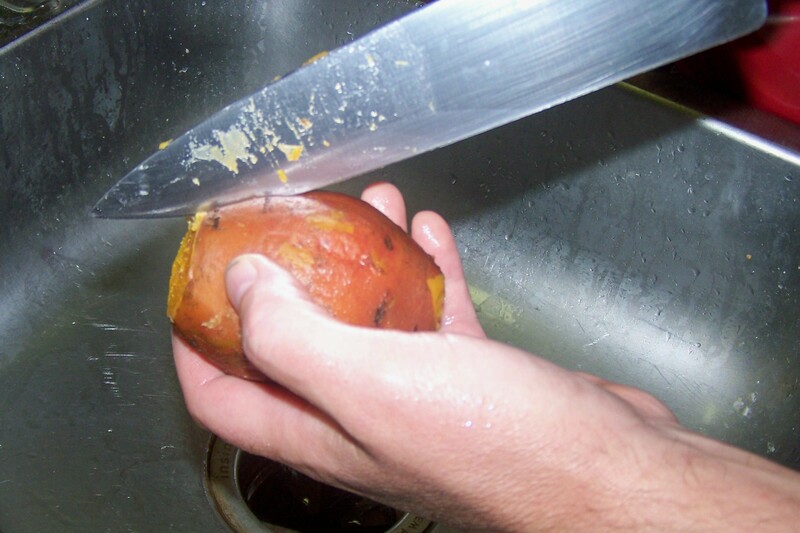 Peel potatoes by inserting knife and making a shallow slice. 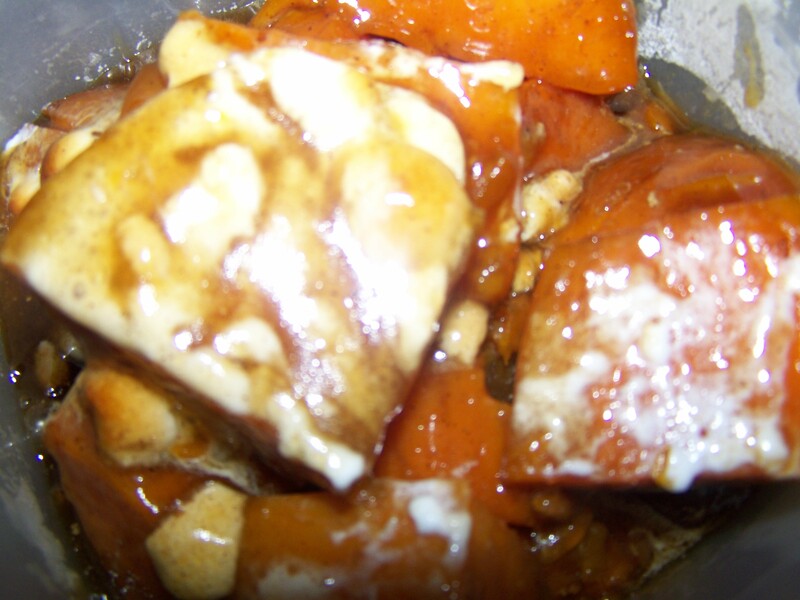 Cut potatoes in chunks and place in 9 x 13 casserole dish. 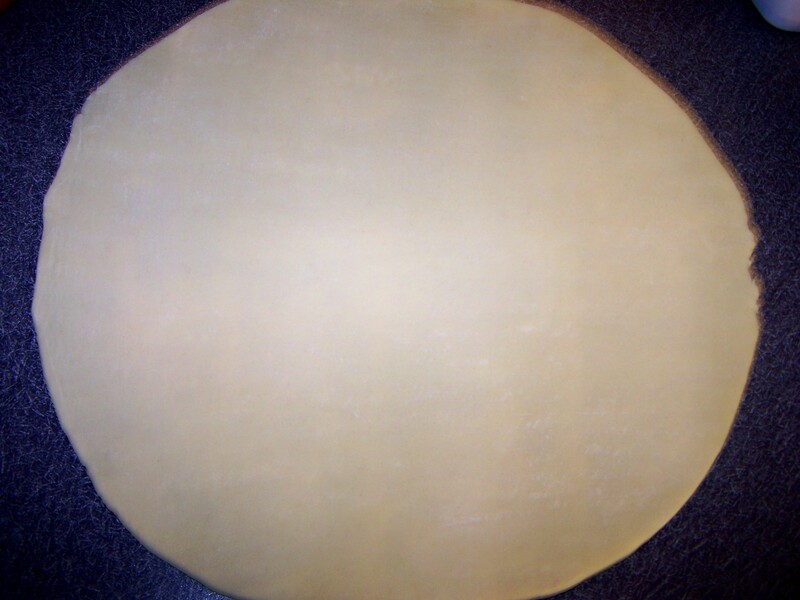 Melt one stick of butter in saucepan add sugars, molasses, vanilla, all spice, nutmeg and cinnamon. Heat until almost boiling. Lower to med/low and simmer for 5 minutes stirring occasionally. 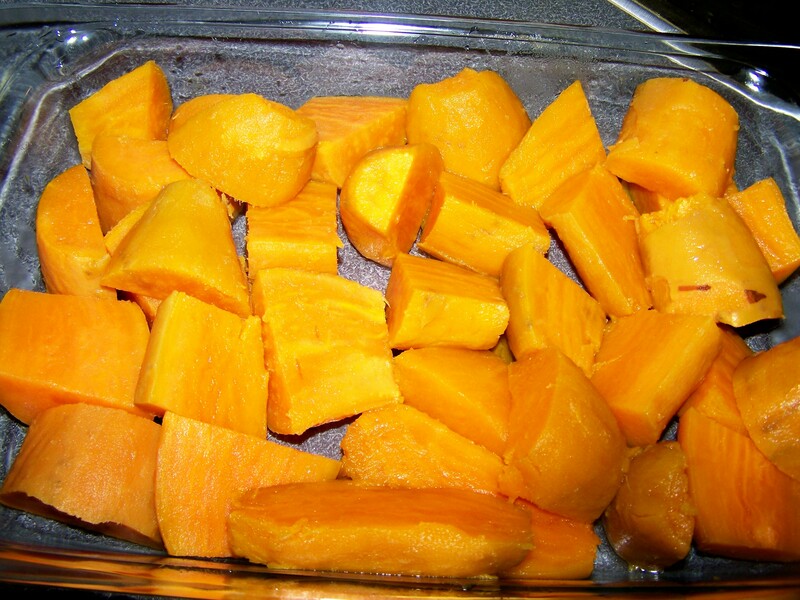 Pour over sweet potatoes, add the remaining stick of butter (yes, more butter..but it’s soo good) cut into 8 slices and place on top. 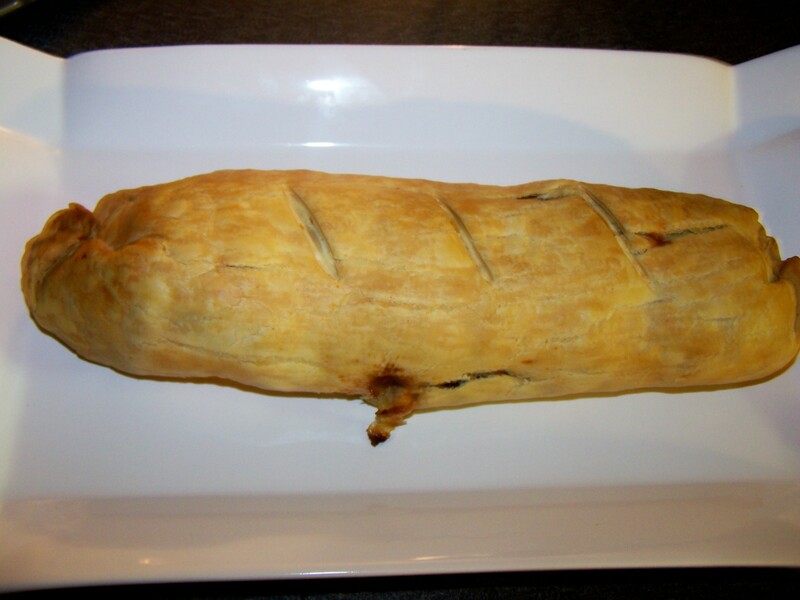 Bake covered with foil for 30 – 35 minutes, basting as needed. If you want to add marshmallows, remove half of the syrup and top with mini marshmallows and bake for the remaining 10 minutes. I bought asparagus for our Thanksgiving dinner and was thinking and googling what do with it and really didn’t find anything that spoke to me. 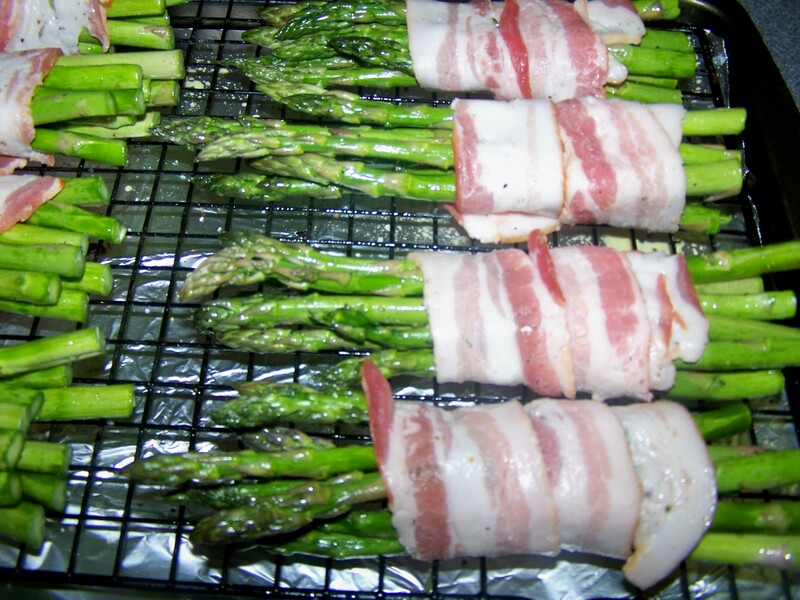 🙂 I love making roasted asparagus and grilled asparagus during the summer when it is fresh and thought why not take bacon (which I had in the fridge) and wrap some asparagus and roast it? Hello awesomeness! Rinse asparagus and cut. The easiest way to do this is take one stalk and snap it in half. Use that stalk as a guide and line up with the remaining asparagus and chop. 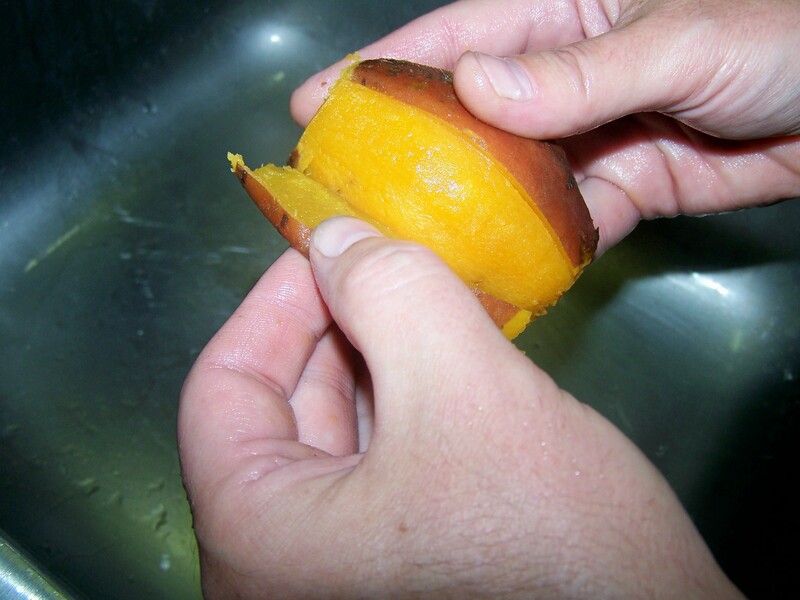 You can save the ends for soup, just freeze them for later. Place the asparagus in large bowl or pan and drizzle with extra virgin olive oil, salt and pepper. Toss to coat. I decided to make bundles of 8 spears of asparagus, as we had 6 people for dinner. If I had more people over, I probably would have made bundles of 4. 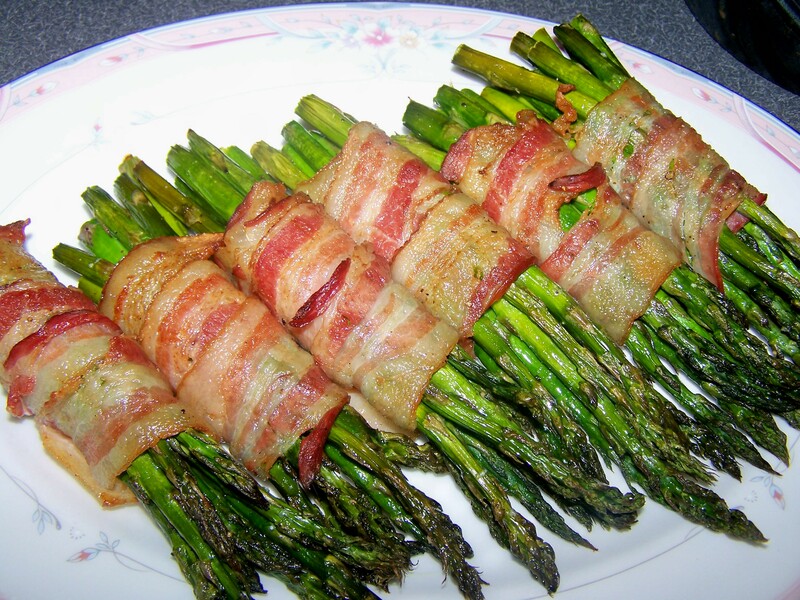 Take one strip of bacon and starting from the end wrap around til you get to the top. Place on foil lined cookie pan with rack on top. I use one of our cookie cooling racks, which works out just perfect. Make sure you spray the rack with Pam so they don’t stick. Bake for approximately 20 minutes until bacon is crispy or to your liking. 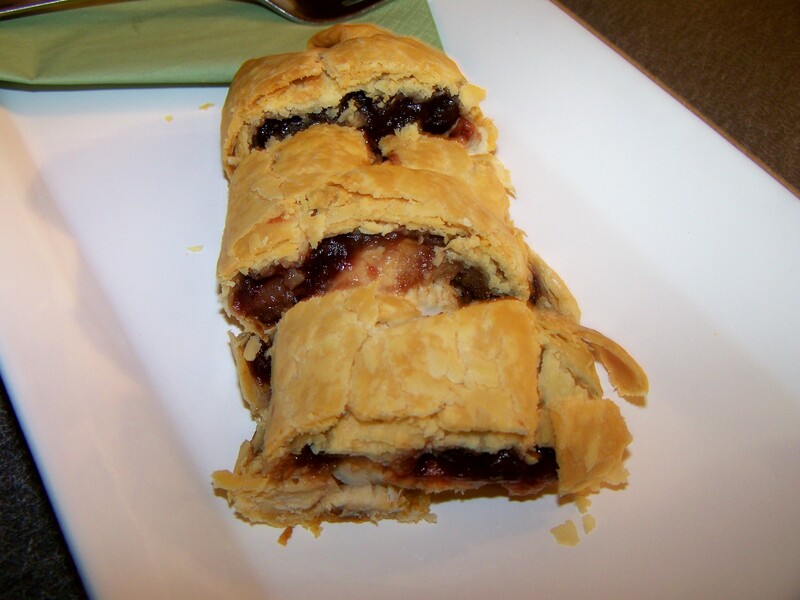 I needed Cranberry Relish to make these amazing brie appetizers. I searched and searched and could not find it anywhere. So I found this recipe and I tweaked it for my liking. Place all ingredients in a sauce pan and stir to mix. 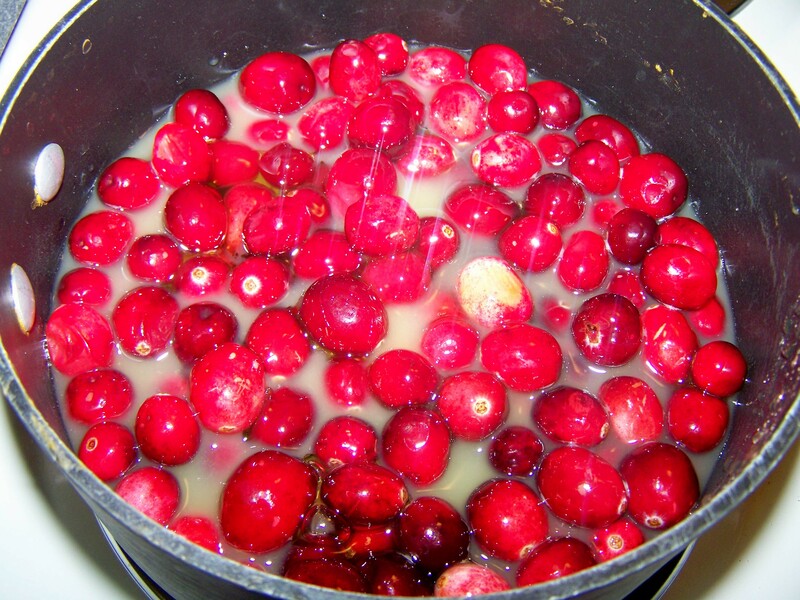 Bring to a simmer and cook for 20 to 30 minutes or until berries are tender and syrup has formed. 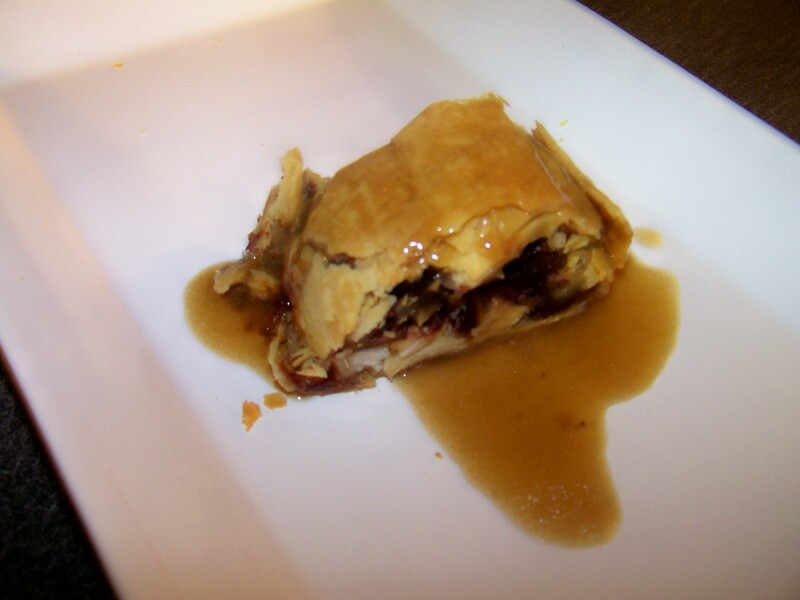 This is the recipe that my Star used for the first time last Thanksgiving. We are now believers of “once you go brine, you will never go back.” It truly was the most juiciest turkey we have ever tasted. We had about 15 people over last year and everyone loved it! My one friend was worried that it was going to be too salty. Definitely not the case. 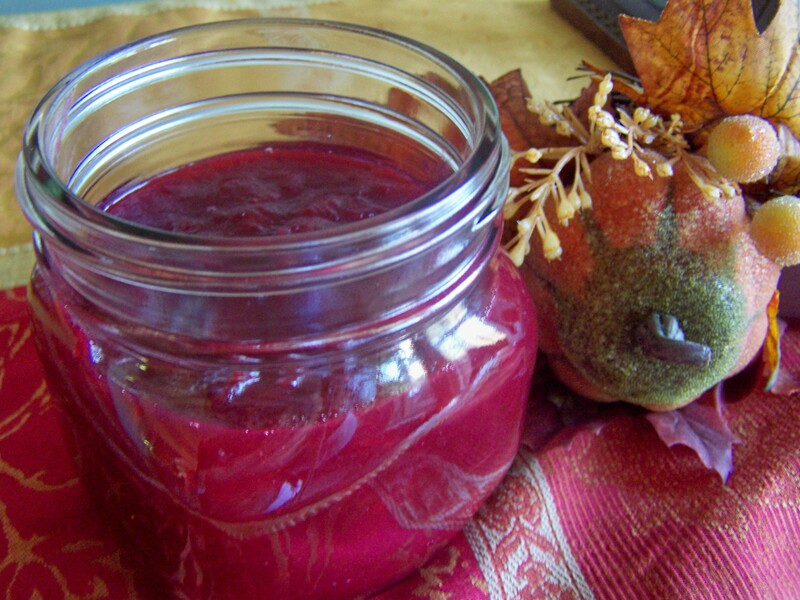 Yes you do need a lot of salt in this recipe, as it helps prevent bacteria growth. So, if you are going to buy your Vegetable Stock/Broth do not get the one with lower sodium. 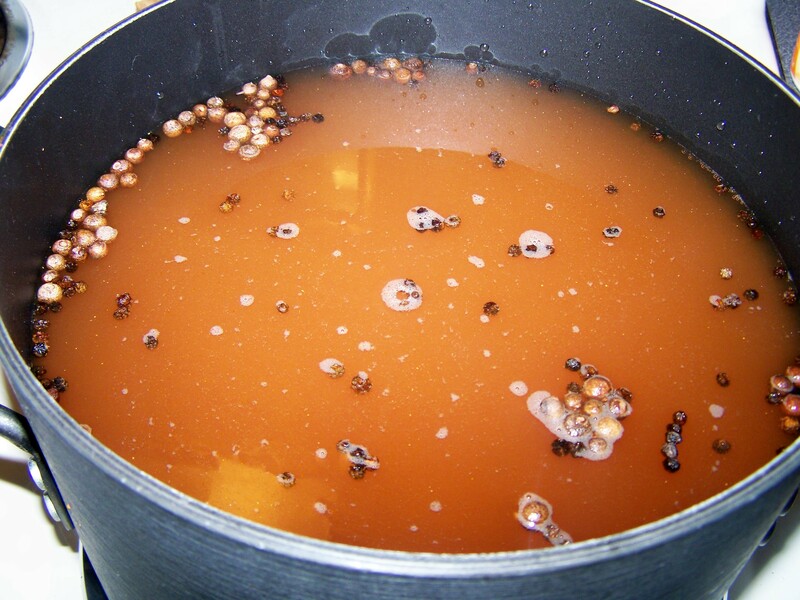 Combine the broth, salt, sugar, peppercorns, allspice and ginger in a large stockpot and bring to a boil over medium-high heat. Stir until the salt and sugar dissolve. Remove from the heat. Cool to room temperature and refrigerate the brine. 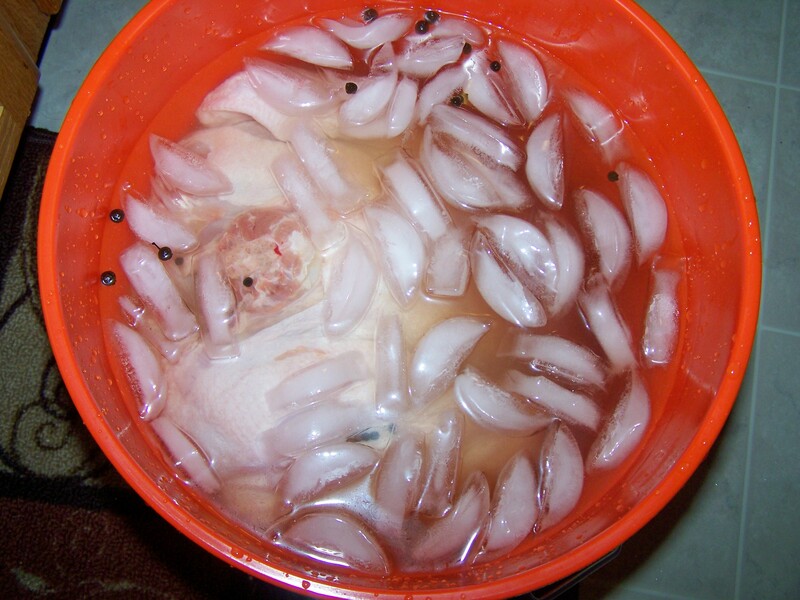 24 hours before you would like eat, combine the brine, water and ice in a 5-gallon bucket. Place the thawed turkey, with innards removed, breast-side down in the brine. 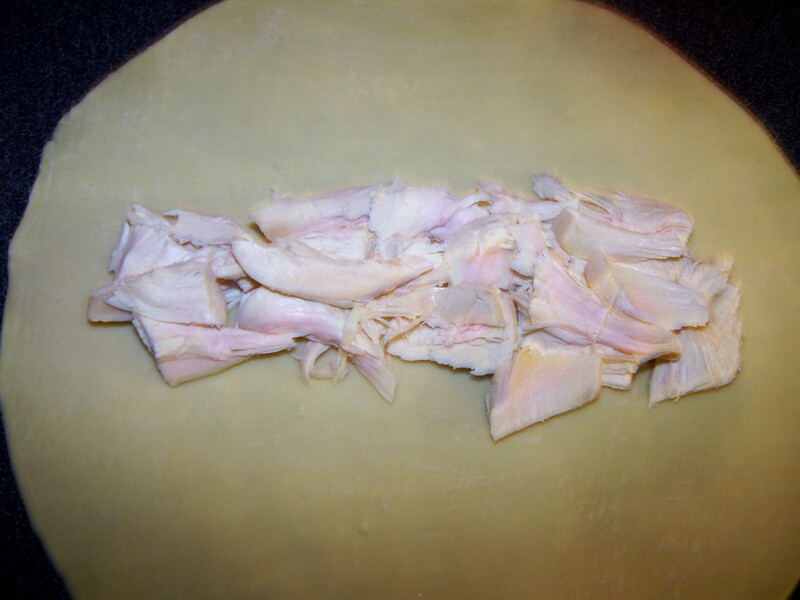 If necessary, weigh down the bird to ensure it is fully immersed, cover and refrigerate. If you do not have enough room in your frig, you may place it in a large cooler. We leave it in the kitchen covered with tin foil and about half way through the process add more ice.